Third Round: Drew Swansea 2-2. Won replay 1-0. Third Round: Beat Newcastle 2-0. Oh, a joke about signing contracts? NOT FUNNY. Well, hey! Four goals in 11 minutes! That was excellent! You know what would be even more excellent? Winning again! Yes, it was fantastic that Arsenal won with such a comprehensive second half performance on Wednesday, but that all goes for naught if it doesn't get the ball rolling. There have been many false starts for this Arsenal team this year; it's getting a little late in the season to still not have turned the corner. We turn our focuses to the FA Cup (with Budweiser!) again this weekend, as Arsenal takes a trip to the seaside to face Championship side Brighton & Hove Albion, who themselves easily handled struggling Newcastle United in the last round. At least they're not a League Two side; bad things happen when you face a League Two side in the cup. Thankfully, there's only one such squad left, and it's Aldershot Town. Thomas Vermaelen will miss out, after picking up a knock on Wednesday. Mikel Arteta is still out with a calf injury. Gervinho is still at the Africa Cup. Lukasz Fabianski remains on a milk carton. Abou Diaby: rested? illness? who knows? Rotation: Probably? I can't even be sure. New signings? Surely, you jest. Defender Bruno may be returning from an Achilles injury. Well... they have ex-Manchester United Tomasz Kuszczak in goal. He signed on a free this summer after a loan spell at Watford last spring. The last time he faced Arsenal, Emmanuel Adebayor scored an 86th minute to give the Gunners a 1-0 win at Old Trafford. THEY HAVE WAYNE BRIDGE ON LOAN! He's made 26 appearances for the Seagulls so far this year, scoring three to date. Craig Mackail-Smith leads the team in scoring, with 11 goals in league play this season (he scored six goals in four games earlier in the season.) They have a defender who is just named Bruno. I can only assume it's the Sacha Baron Cohen character. He has an Achilles injury, returned to training this week, and could still be short. Spanish midfielder Vicente returned from a long-term thigh injury with a substitute's appearance recently. Brighton signed Argentinian striker Leonardo Ulloa last week. Well, you can't say that the 5-1 win over West Ham was a turning point yet, because it's just one win, lovely as it might have been to score four goals in 11 minutes. The fact is, Arsenal have not won consecutive games since the end of December. That streak, which included wins over Reading, Wigan, and Newcastle, was one of only two Arsenal winning streaks of three games this season. They have yet to win four in a row, across all competitions. Only then can you start talking about turning corners. The 1-0 win over Wigan last month remains the last time Arsenal got a win away from home. Since then, they have drawn at Southampton and Swansea and lost at Chelsea. Despite having sat at the top of the Championship table a few times this season, Brighton & Hove Albion are currently in seventh, four points back of Watford for the final play-off spot. Since a December 1 loss to Crystal Palace, Brighton have lost just once, but it was at home and to Watford (and Manuel Almunia!) After the loss to Palace, Brighton continued to struggle; the loss to Watford was their fifth straight without a win in the Championship, following draws with Charlton Athletic, Nottingham Forest, and Millwall. In the New Year, Brighton bounced back with wins over Ipswich Town, Derby County, and their third round 2-0 win over Newcastle United. That three match winning streak was snapped with road draws against Birmingham City and Blackburn Rovers. goal was scored by Perry Groves. Arsenal's first meeting with Brighton came in the FA Cup in 1935, with Arsenal winning 2-0 away. The sides did not meet again until 1979, when Brighton was promoted to the top flight. In 1979/80, the two sides managed to meet five times, thanks to an FA Cup tie and a League Cup tie that required a replay. Brighton did not score in any of the five matches. Both league meetings came first (oddly,) with Arsenal winning 4-0 away and 3-0 at home. In the League Cup, the sides drew 0-0 in Brighton before Arsenal won the replay 4-0 at home. Then, in the FA Cup, Arsenal won 2-0 at Highbury, en route to a final they would lose to second tier West Ham. In 1980/81, Arsenal won 2-0 at home and 1-0 away. In the first meeting of 1981/82, the sides drew 0-0, before Brighton finally got a win against the Gunners, 2-1 at home on April 10, 1982. It took 10 matches for Brighton to finally score a goal against Arsenal. Those goals continued to come, as Brighton won the first meeting the following season, 1-0. Arsenal won at home later in the year, 3-1, and Brighton were relegated. The only other meeting since Brighton's 1983 relegation was an FA Cup tie in January of 1988, which Arsenal won 2-1 in Brighton. That means in 13 total matches, Arsenal have outscored Brighton 24-5. "What do you want from me? I'm like five years old!" 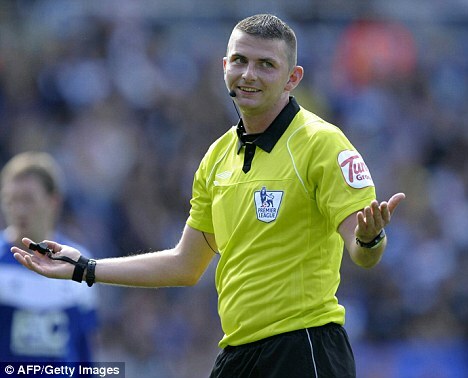 The referee is Northumberland-based Michael Oliver. Arsenal have seen Oliver just once this season, for the 1-1 draw at Everton. He has taken charge of two Championship matches, but neither involved Brighton. Arsenal struggled with Oliver in the 2010/11 season, as I have noted in the past that he appeared "out of his depth" at the time, but split results with him last season (a win over West Brom and a loss at Swansea.) While Swansea were the better side on the day in that match, I do recall that their first goal came from a controversial penalty. Oliver took charge of one Brighton match last season, when they hosted Liverpool in the third round of the League Cup. Liverpool won 2-1, with Brighton merely scoring consolation from a penalty in injury time. As far as I can tell, that's the only Brighton match he has worked in his career. Then again, he only turns 28 next month. 32 teams remain in the FA Cup. 14 are from the Premier League, 11 are from the Championship, 4 are from League One, 1 is from League Two, and 2 are from Conference National.